Can we speak to each other or will we always be divided? 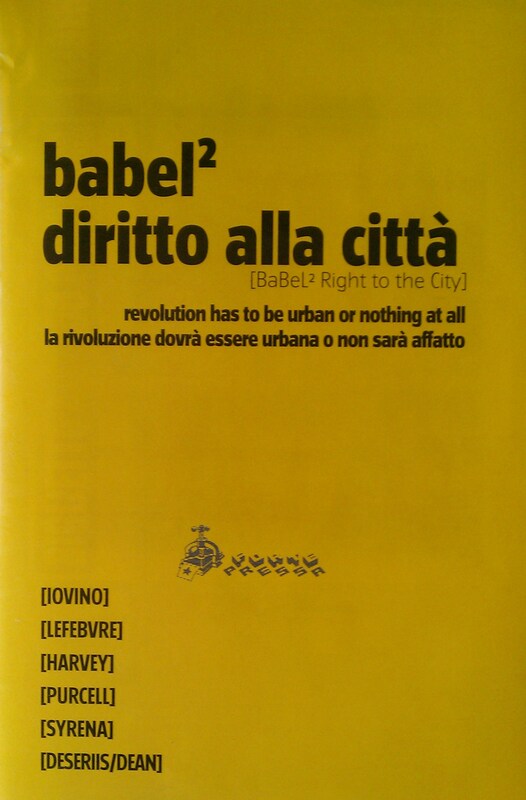 I just received a copy of a new collection of essays on the right to the city (by Francesca Iovino, Lefebvre, Harvey, me, Kolektyw Syrena, Marco Deseriis, and Jodi Dean). The book is in simultaneous Italian and English. It was organized and published by a group in Italy to go with a gathering called Babel2, an independent festival of critical housing, which took place in Forteprenestino, a squatted social center in Rome that has been occupied and self-managed since 1986. The lead on the book was Valerio Bindi, and it is under a creative commons license, so if you are interested you should contact him and see if there are copies available.